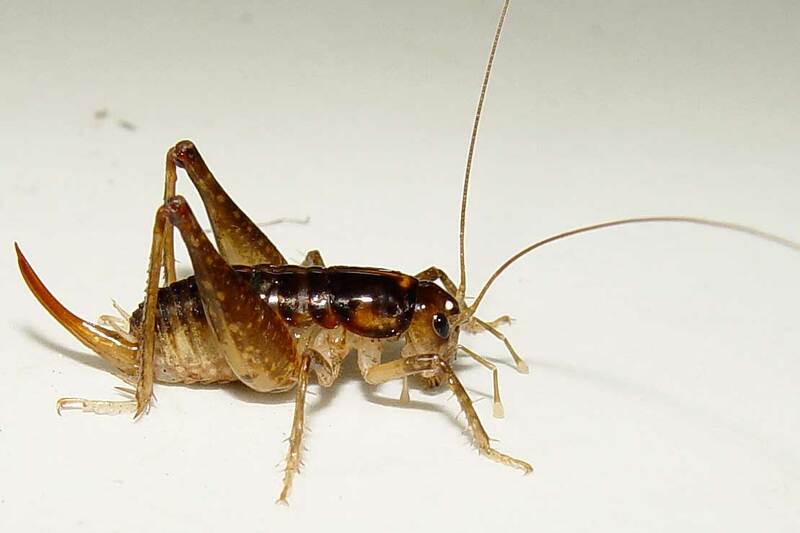 One of the newly discovered species of ground wētā – Bruce’s wētā, Hemiandrus brucei. Three new species of ground wētā and mating calls have been identified by Massey University researchers. Research by doctoral student Briar Taylor-Smith and her supervisors Professor Steven Trewick and Associate Professor Mary Morgan-Richard of the Massey Ecology Group have reported three new ground wētā species in the New Zealand Journal of Zoology. Two new species of ground wētā, which were previously classified as Hemiandrus maculifrons, have now been named Hemiandrus luna and Hemiandru brucei. A third species, related to the other two, has been named Hemiandrus nox. Hemiandrus luna and Hemiandrus nox were named after Roman goddesses and Hemiandru brucei (Bruce’s wētā) is named for Taylor-Smith’s grandfather and mentor. Ground wētā are found in native forest throughout the North and South Islands, as well as on numerous offshore islands. Most species of ground wētā have restricted ranges but the three new species are found on both main islands. Professor Trewick of the Institute of Agriculture and Environment says many species of wētā are abundant in New Zealand forests and other habitats, but a lot of these have yet to be described. Additional taxonomic and ecological work on ground wētāis needed to test the reported diversity of this genus. “Even in 2016, there are new species to discover and important diversity to describe. We cannot conserve an animal if we do not know it exists, which is why it is so important to begin conservation by documenting our biodiversity. New Zealand Anostostomatidae (true wētā) includes three main lineages: giant and tree wētā, tusked wētā, and ground wētā. Together, they comprise some 60 species that occupy diverse habitats from lowland forest to the alpine zone. A separate group, the Rhaphidophoridae or cave wētā, are also being studied by the Massey team. In related research, the mating calls of ground wētā have been recorded. Until recently it was not known that ground wētā communicated using sounds. These wētā do not have the ‘ears’ on their legs that many other wētā have, but it appears they use vibrations to signal to each other. The male ground wētā does this by rapidly drumming its body against the leaf it is standing on. The resulting sound is inaudible to humans but can be detected using a specialised sensor. ground wētā communicating using sounds. The Ecology Group at the Institute of Agriculture and Environment studies the identity, diversity, abundance and interactions of New Zealand’s biota; evolutionary ecology and genetics; animal behaviour and ecophysiology; the survival and conservation of species; the workings of natural communities and ecosystems; and the sustainability of human activity in the environment.